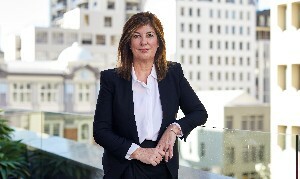 Mint Asset Management is removing its performance fees on retail funds and founder Rebecca Thomas says the Financial Markets Authority should monitor what other managers are charging. The industry has been shifting away from performance fees in recent years but it follows a long run of strong markets, which have proved lucrative for many. It was warned last year that some managers were claiming performance fees even when they did not outperform the market. Mint’s Australia New Zealand Active Equity Trust (Retail) fund charges 10% on outperformance above the NZX50 plus 3% with a high water mark. The Financial Markets Authority has looked into the issue, and called for managers to ensure appropriate benchmarks were used, but Thomas said more action was need. “I suggested to them that they need to look very hard, if they don't already, on what's on the Disclose register. She said the FMA would say they only had a mandate on reasonable within the bounds of KiwiSaver. But she said the mandate should be wider. Thomas said there were problems with the new PDS structure. Under the FMCA, managers provide much more templated and simplified disclosure to investors. But Thomas said that was dumbing things down it was no better than the old version and mangers were putting more information on Disclose, which was only looked at by competitors, and SIPOs. “The SIPOs as the non-regulated document that does form the suite of the regulated offer, more of the key information, for example about benchmarks, and key information about where the fund is invested, have gone into the SIPO and come out of the PDS. Congratulations, Rebecca Thomas and Mint: on the face of it a positive move. Time for FMA to come to the party; and for Mint's bigger brother and sister fund managers to join the movement! Have to laugh and wonder why this wasn't an issue during 5 years as a FMA Board member. Mint appear to have had a reasonable benchmark so it is interesting they feel a performance fee is no longer appropriate. I wonder how many investors have complained about the strong absolute net returns, I bet not many.